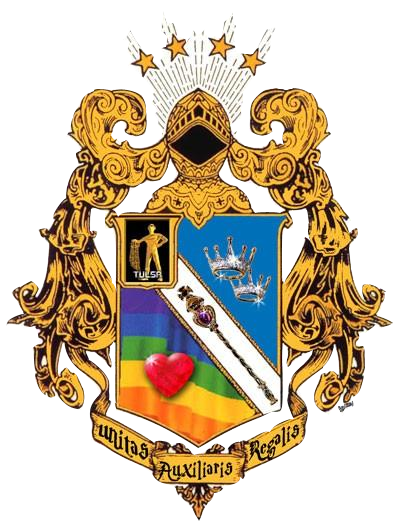 The Imperial Court of All Oklahoma, Inc. shall be to provide educational, public service, and entertainment events that unify all aspects of community to benefit those in need. To that end the I.C.A.O. embraces people of all genders, ages, lifestyles, sexual orientation, and ethnicities. As an organization, the I.C.A.O. strives to build bridges between organizations/businesses and individuals and to bring together the Gay, Lesbian, Transgendered, Bisexual, and Heterosexual communities in a common purpose - to improve life for the people of Oklahoma. Co-Founded in 2007 by Christian La Fleur Dior D' and Kris Kohl, we are a 501(c)(3) Charity Organization operating in the State of Oklahoma for the People of Oklahoma. Our goal is to unite community-based organizations and the community through love, understanding, education, brotherhood. For more information about the I.C.A.O or the ICS, click the link under the "ABOUT US" tab.